Website registration for membership and member services are available only for attorneys handling current cases. use the link below to register as a new user. Registered users may use the link below to login and register a new case or edit your current cases. Use the link below to locate any Public Defender in South Carolina. If you have further questions, use the Find a Defender link and go to the county where the charges are pending. Email any listed Public Defender in that county with your questions. The following information is provided regarding applying for the Rule 608 contract program. 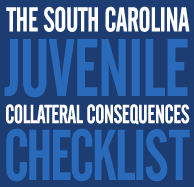 This information includes the policies and guidelines governing the program as established by SCCID and the Supreme Court of South Carolina.